Hawaiian guitar music was immensely popular in the 1920s and 1930s, and again shortly after World War II. It's been making a comeback lately as well. 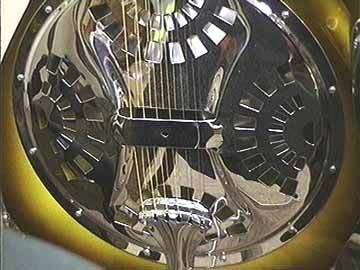 Notice that the hollow instrument body extends all the way to the peghead. 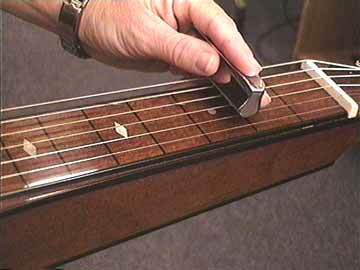 In fact, this guitar would be impossible to play as a standard guitar because you couldn't reach around the neck even if you did lower the strings. 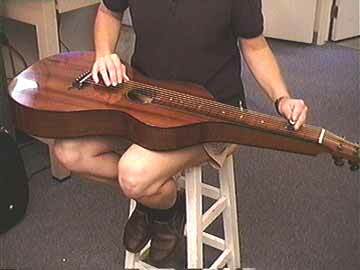 Lots of resophonic guitars are played in Hawaiian style, and it was this style guitar that became a part of the Nashville country music scene. 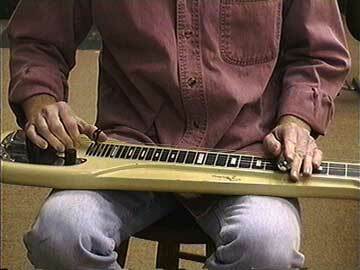 which, in turn is the predecessor to today's pedal steel.